Below are the top three mistakes entrepreneurs tend to make when issuing equity. 1) They don’t create a capitalization table (commonly referred to as a cap table). A cap table provides clarity around ownership. It will assist entrepreneurs in understanding the effects of issuing too much equity too soon. Too often I see entrepreneurs freely giving away equity as compensation without realizing the extent of dilution they are causing. It is normal to provide one to two percent of your company’s equity to an advisor who is willing to vest over a set time period of six to 12 months in exchange. The rationale behind vesting the shares is that you want to make sure this individual is performing activities that will enhance your company’s growth. As an advisor, I take equity in companies and specify that it will vest on a monthly basis as long as the contract is active, which is typically four to six months. The problem I see often is when entrepreneurs dole out five percent or more to each person who provides ancillary services. If you give an accountant five percent of your company’s equity in exchange for an audit, you are diluting the company in exchange for a service that does not enhance your company’s growth. Tip: Create a cap table and barter or pay cash for services that do not provide ongoing value to your company. 2) They don’t integrate their option pool with their hiring plan. An option pool sets aside equity for future hires. Once the cap table is in place, entrepreneurs can start to develop their option pool. Of course, all smart entrepreneurs know to develop a financial model that details their hiring needs on a monthly basis for the next 24 months. This, in turn, provides guidance for the option pool. Entrepreneurs will look to the hiring needs of their company for the next 24 months. If they are raising outside capital, they will structure their option pool around the next funding event. In other words, they will create an option pool that will last up until their next funding round. Each subsequent round will have an adjusted option pool. For example, six months ago, I seeded my company through a crowd funding campaign. Today, I want to raise $3 million, which will take me through to the next financing round, which I anticipate will occur in 18 months. Therefore, I create an option pool that covers all applicable hires within the 18-month time frame. Your option plan will vary depending on the characteristics of your company. If you have a non-tech company that is highly focused on selling a non-tech product or service to your target audience, your CMO may warrant a higher percentage of options than your CTO. In other words, ask yourself how critical each role is and award the role accordingly. The more critical the hire, the higher the percentage of the option pool. Tip: Create an option pool based on your company’s hiring and fundraising needs. 3) They don’t get legal guidance when negotiating the equity in their term sheet. One common point of contention is an investor who inserts the option pool into the pre-money valuation. This may seem like a minor issue, but it dilutes the valuation of the company. A company has a pre money valuation of $15,000,000. An investor agrees to invest $5,000,000, which creates a post money valuation of $20,000,000 (pre money valuation + investment = post money valuation). However, the investor stipulates that 10 percent of the fully diluted shares will be set aside for the option pool. This 10 percent option pool represents $2,000,000 (10 percent x $20,000,000). Your valuation has gone from $15,000,000 to $13,000,000, as the $2,000,000 worth of stock has been set aside for future hires. This can be remedied by asking for an increase in valuation. Most investors are amenable to the increase in valuation as they know that the option pool is a sensitive issue. Tip: Always seek legal advice when negotiating a term sheet. Understand how each term in your term sheet affects your company. In summary, entrepreneurs should pay close attention to the equity in their company. It is a finite source and should be distributed with the utmost care. Your option pool will be critical in attracting top talent, so you will want those working with you incentivized accordingly. Last, but not least, an ounce of prevention is worth a pound of cure. Always seek legal advice before signing off on any investment. 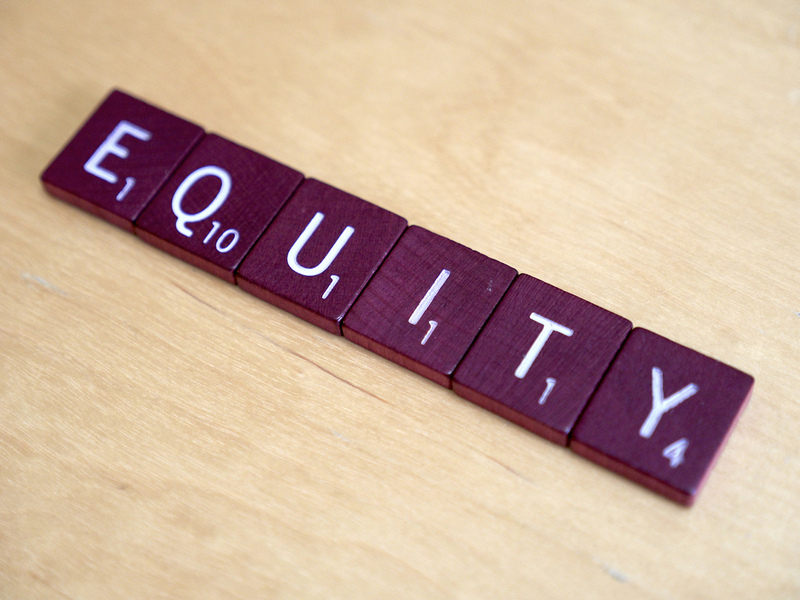 Still have questions about equity? View the reply of a recent event I hosted on the topic at Spreecast.